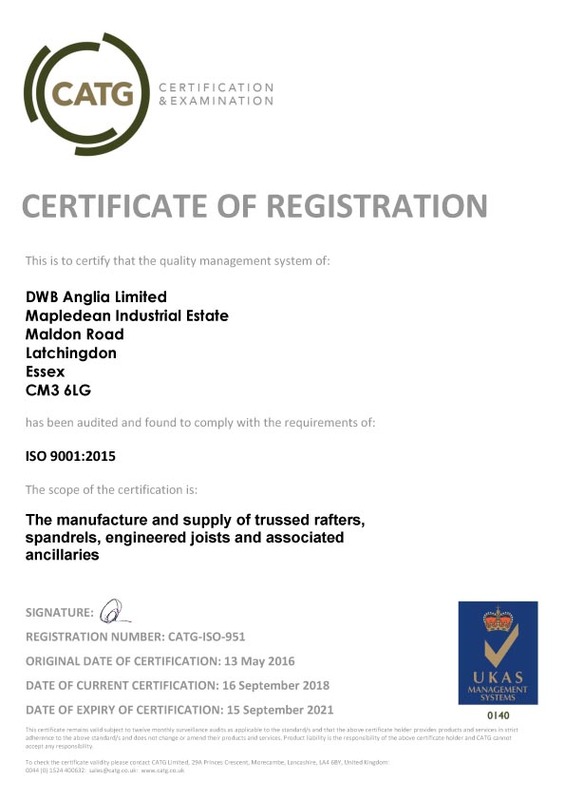 DWB Anglia is pleased to announce the achievement of the ISO 9001:2015 Quality Management Systems Standard Certification. By meeting the rigorous criteria for this standard, DWB Anglia affirms its ability to consistently deliver an effective quality management system and drive continuous improvements to its services and internal processes. This internationally recognised certificate is a testament to DWB Anglia’s dedication to the highest levels of quality management and customer satisfaction. ISO 9001:2015 is the Quality Management System (QMS) standard and is designed to be a powerful business improvement tool. The newest update was revised to ensure that the standard continued to serve the business community and maintain its relevance in today’s marketplace. DWB Anglia has improved customer satisfaction and overall operational efficiency as a result of the Certification and will be continually audited by CATG, the business standards company, to ensure that the standard is maintained.